"Do you believe blessings of people come true? By corollary, do you believe curses can?" The reason why I asked it was because I get so many mails which express gratitude for what I write. They tell me how much my words have helped them, how much they have motivated them, moved them, healed them, comforted them and they share a bit of their lives with me and send loads of love and blessings my way. In my life, even though I have received several hard blows, I have been always fortunate to have really fought whatever situation life has thrown at me and to have won. Some might call it luck or destiny, but I do firmly believe that good wishes of people do play a large part. When someone sends you love and best wishes sincerely and whole heartedly, it is positive energy they are sending your way. Good vibrations, good thoughts. Mostly you have to earn them by your deeds. (What the ancient Philosophers call 'Karma' ). I am among the millions who have read your books and your blogs. While browsing the net i got to know that your book "life as you make it" was among the most purchased one on flipkart, I ordered the same, it came cheap :) . I started reading it at 10pm yesterday and got engrossed, when i finished, the clock clocked 2 am. I had missed my dinner :P. In the morning I text each and every one to whom I have ever been rude, or have laughed at. I apologized for the same. Some of my friends even asked me " kya hua be hangover ho gaya hai kya, kitna pi liya tha." I said "no its a book i read last night" i recommended it to them too and I vowed never to make fun of anyone.....Thank you for such a lovely book and thank you for teaching me the importance of love and friendship. You have made me your votary yesterday. The way I see it, when a reader takes time and writes to me, how can I not respond? Yes, it does take a little bit of my time and yes it does cut into my writing time. But I do treasure mails of appreciation. Especially on dull, dark days when I am sitting at my laptop and pounding away stories, and travelling to those awful places inside my head, the dark fearful caverns where I do not want to go, then the mails that I get, shine like beacons of light, urging me to keep writing, reminding me that someone out there cares a hell of a lot and is eagerly waiting for my next book. Oh, that feeling of being loved, cherished, adored is something hard to beat. I am grateful for the love I receive. I am grateful for my ability to write. I am also grateful for the countless blessings and good wishes. Let me tell you a secret--they work! So here is sending a lot of love and a lot of positive vibes your way. Take a deep breath now. Now another and another. And yet another. Let go of all the negativity. Push it out. Let there be peace in your heart, a smile on your lips and may you let go of everything that is troubling you. You are loved and everything is going to be okay! Once again nice thoughts presented by u in this blog also. Jst recently come to know about ur books(ref is given by one of my frnd) then I went through the Flipkart and after viewing the review, ordered for both the books ..hope so by tmrrw I will get the book on my doorstep. From last two weeks I am the daily viewer of ur blog space. In last two months what u have posted , I read all of those and found ur words are having full of energy which can change anyones life. So many new things I have adopted in very short span of time and also start feeling change in my lifestyle  . “There is someone awesome in your Life!” is the best one till now which I have gone through. ❤ I can vouch for your caring, genuine, compassionate and sensitive soul. Very grateful for being there for me when I needed it the most. That's all that matters. Thank you and Love you! Well, as you give so you get back ! so I am not surprised that a person as wonderful as you is receiving so many blessings ! Thank you Preeti, for spreading so much sunshine. You derserve all the happiness that there is .. and I hope you always get it. Love and hugs ! Thank you, Preeti! Yes, as you said, let us not belittle love. I think you are someone with high integrity and a compassionate soul. Thank you for being who you are! 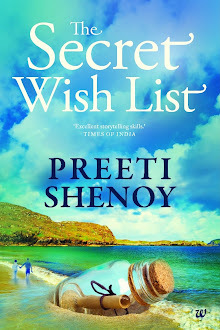 Hey Preeti!One of my close friends suggested me to read your blogs like a month back.. She told me, "Gayu, As we started talking I discovered that we have so many things in common and you must read the blogs by this woman, you can actually relate to her. She's awesome." I stopped working and started reading about you, your blogs and your poems. I must say that my friend was 200% right. You are just fabulous and I love the way you write. You touch people's heart with the simplest words and concepts that every individual could realize if they sit and talk to themselves! You are incredible. May god bless you with all happiness and good health! :) Good luck! keep going! 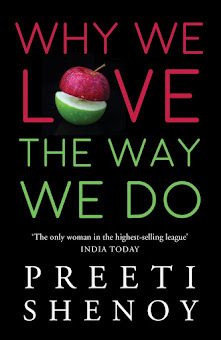 Preeti the reason i love you is because you spread "Love" Lady !!! isnt beautiful to be capable of doin it :) proud of you , only love is real!! I've told u this so many times but I never tire of repeating it....ur blog RADIATES Positve Energy:-)). I have always wondered abt this.. the question I mean....If I believe blessings are bringing in positive energy then curses also cd be working, right. what do u think and wht did ur twitter friends say??? I believe that Blessings and curses have their corresponding positive and negative effects, but we do not have any device or instrument to "measure" the effects.. It can be experienced by the involved individual. Just help someone and watch the grateful eyes.. you will be blessed. just the post I wanted..
* a bigh deep breath!! I am so much blessed to be loved and so glad to have read this post!! Are you looking at a closed door? There's someone awesome in your life!